10 Tips for First Time Home Buyers in Chicago's North Shore! Chicago’s North Shore is a great area to settle in and call home. Beautiful homes, quaint neighborhoods, and vibrant communities create a welcoming environment and draw many to look for homes in these cities along the shore. Whether you choose to settle in Winnetka, Glencoe, Highland Park, Deerfield or Northbrook; you’ll find that each area offers a unique atmosphere and excellent quality of life. If you’re a first time home buyer and are excited to begin your home search in Chicago’s North Shore; there are ten tips that will make the home buying process as smooth and stress free as possible! 1. Check Your Credit Score- Lenders will put a lot of weight on your credit score, so you want to make sure to have your credit in order. They will determine how much you qualify for in a mortgage based heavily on your credit. 2. Set Your Housing Budget- Have a clear understanding of your budget each month, and do not spend more than 30% of your gross monthly income on your North Shore home. This includes your interest, principal, homeowners insurance and taxes. You don’t want to put yourself in a financial bind that you are constantly struggling to maintain each month. 3. Start Saving and Stop Spending- Begin to save the difference between your monthly rent now and what you plan on your monthly mortgage being. This will prepare you for what the monthly payments will look like once you move into your home and help you make any needed lifestyle adjustments now. 4. Meet with a Lender- It is easy to want to begin searching online for your North Shore home, but without a sense of how much you qualify for; it’s easy to waste time looking at homes you might not be able to afford. Meet with a lender before you begin looking at homes and get pre-qualified. You’ll be able to search more effectively online and when you begin working with a North Shore Real Estate agent to find a home. 5. Find a Reputable North Shore Real Estate Agent- You’ll want to find a real estate agent who has experience in Chicago’s North Shore Real Estate market. A North Shore Real Estate agent who has years of experience in the area will be a great asset in helping you find a neighborhood and home that best fits your needs and lifestyle. 6. Narrow Your Priorities- You’ll want to make two separate lists based on your needs and wants. Your needs should be those things you absolutely need in your North Shore home. Your wants will be those items that you would prefer, but are willing to compromise on. 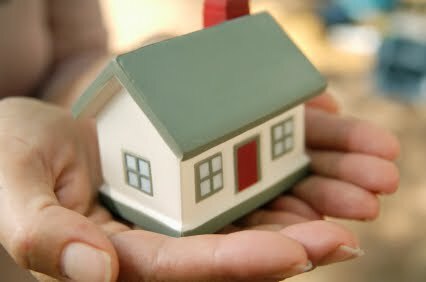 Narrowing down and sorting out your needs and wants will help immensely when searching for a home. You’ll have a clear picture on what you are willing to compromise on, since you will most likely not find a home that has absolutely everything you would like. Know when to give and when to stand firm. You’ll quickly narrow down your home search this way! 7. Choose a Neighborhood- I feel that any you can’t go wrong in any North Shore neighborhood that you choose! However, I understand that each neighborhood does have a unique atmosphere and things to offer, so you’ll want to find the neighborhood that suits you the best. I have years of experience in the North Shore Real Estate market and will be able to assist you in finding your ideal neighborhood! 8. Make a Reasonable Offer- Your North Shore Real Estate agent will be able to give you a list of comparable homes in the area, and can help you determine an offer that is fair for the market. 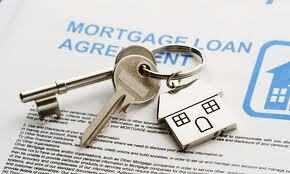 They will also make sure that you are being dealt with fairly as a first time home buyer. 10. Finalize the Details- Once the contract is signed; you’ll still want to stay in touch with your North Shore Real Estate agent and lender. There are always last minute finalizations that need to be made. I hope these tips have been helpful as you begin the process of looking for and buying a home in the North Shore! If you have any questions about buying a home of the North Shore Real Estate market; please let me know. I enjoy helping first time home buyers find their first home and begin the new stage of life! I would be happy to meet with you and show you around Chicago’s North Shore! Northbrook Active Listings: There are a total of 368 properties actively on the market with the average price of $580,309 in Northbrook. Northbrook Sold Listings: 26 properties closed last month in Northbrook with an average sales price of $408,159, the average time on market for these properties was 149 days. Glencoe Active Listings: There are a total of 98 properties actively on the market with the average price of $1,957,990 in Glencoe. Glencoe Sold Listings: 10 properties closed last month in Glencoe with an average sales price of $1,233,170, the average time on market for these properties was 124 days. Deerfield Active Listings: There are a total of 167 properties actively on the market with the average price of $502,286 in Deerfield. Deerfield Sold Listings: 11 properties closed last month in Deerfield with an average sales price of $325,273, the average time on market for these properties was 119 days. Winnetka Active Listings: There are a total of 159 properties actively on the market with the average price of $1,969,765 in Winnetka. Winnetka Sold Listings: 8 properties closed last month in Winnetka with an average sales price of $863,116, the average time on market for these properties was 137 days. Enjoy Valentine's Weekend in Chicago's North Shore! There are many reasons why I love living and working in Chicago’s North Shore, and with Valentine’s Day quickly approaching; I thought it’d be a great time to highlight what a few of these cities are doing to celebrate this inspired holiday! Each of the cities of Winnetka, Glencoe, Northbrook, Highland Park and Deerfield offer an endless variety of restaurants that would be ideal to try out this weekend. Whether you are celebrating with a loved one, or want to gather with a group of friends; you’re sure to find an option and atmosphere that will feature exactly what you’re looking to enjoy! And, while the fare in the North Shore is excellent; there are many other creative ways to enhance your Valentine’s Day experience. Here’s a look at some of the options of things to do this weekend in the North Shore! - Children of all ages are welcome to stop by the Winnetka Public Library to make Valentine’s for those they love! -Learn about chilies and cocoa and mix up Aztec-style chocolate. Includes chocolate mint and chocolate pepper plants. The program runs 9:30-11 a.m. and 1-2:30 p.m.
- Love a great piece of chocolate? 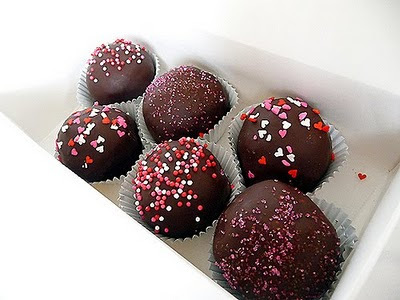 Make delicious chocolate truffles for yourself or someone special. Just in time for Valentine’s Day! Registration required. -Visit the store for champagne, chocolate and more from vendor partners. Eleanor Reily will be in the Whole Body department teaching us how to make spa-quality beauty products using natural ingredients. We will also be highlighting some Whole Trade products along with free giveaways. - The annual event hosted by the Northbrook Park District includes appetizers, ice cream sundaes, corsages for girls and a professional photograph to take home. I hope you are able to take advantage of one of these events being offered this weekend in Chicago’s North Shore! With endless activities, great local fare, charming downtown areas and beautiful homes; you can understand why so many love to call the North Shore “home.” If you have been considering moving to any of the North Shore cities, and have questions about the North Shore Real Estate market; please let me know! I’d be happy to show you around and help you find a North Shore community and home that will fit your needs and lifestyle. Housing Market Recovery in Full Swing- Now is the Time to Buy in the North Shore! Many of you may not be currently thinking about buying a home as the North Shore’s recent snowfall is keeping us all content to be in our warm homes. However, as you have time to be indoors and consider your current home; you may begin to think of your goal to buy a North Shore home this year. Whether you’ve been considering this for some time or have only recently begun to think about a new home purchase, I can assure you that now is a great time to buy a home! With the low mortgage rates that are expected to remain throughout the year, many have been inspired to buy their North Shore home before the busy spring season. In a recent article by real estate expert Shobhana Chandra, it’s noted that in December alone, sales increased an overwhelming 12 percent! The encouraging news is that these were existing homes; which is great news for sellers as well! If you do plan on buying a North Shore home, you’ll want to know that there has been a change in mortgage guidelines for 2011. In hopes of bringing the market to full recovery, lenders have tightened the reigns on qualifying for a mortgage loan. These four tips should be helpful as you begin to get things in order to buy a North Shore home. 1. Know your borrowing limit- If you’re not sure how much you want to borrow, a good rule of thumb is to look at the Federal Housing Administration requirements. FHA will limit mortgage payments at 31% of gross monthly income before taxes for most buyers. This can help ensure that you’re not getting in too far over your head. If we’ve learned anything over the past few years, it’s to play it safe in the housing market. 2. Have the right credit score- Credit scores are moving to the forefront of being approved for a North Shore home loan. Most lenders are expecting a credit score of 600+ even for FHA loans. A good credit score will not only help you qualify for a home loan, but can lower your interest rate, which can save you thousands of dollars in the long run. 3. Shop around- The interest rate is important, but there are other costs to consider such as discount points and even the type of mortgage loan. When shopping for best rates, compare various combinations of discount points and loan types. Your North Shore Real Estate agent can help you decide on the best option. 4. Consider a No-Closing-Cost Loan- If you have positive equity, but are lower on cash up front, you do have an option to choose a no-closing cost loan. This simply means that you’ll have a slightly higher rate, but the closing costs will be pain over time instead of up front. If you have any questions about where the North Shore Real Estate market is currently at, or have questions about qualifying for a mortgage loan; please let me know! I know the housing market can be overwhelming at times, and having someone to guide you along the way is important in having a stress free home buying experience. Finding a North Shore Real Estate agent can be a process in and of itself, but I’d love to offer you my services as I have years of experience with buyers and sellers in the North Shore Real Estate market. Please feel free to contact me anytime. I look forward to hearing from you!